Tens of thousands of people are streaming to the Negev town of Netivot to mark the passing of the Baba Sali, Rabbi Yisrael Abuhatzeira. Tens of thousands of people are streaming to the Negev town of Netivot to participate in annual ceremonies to mark the 28th year since the Baba Sali, Rabbi Yisrael Abuhatzeira, left this world. The "hilula" -- the annual memorial ceremony to mark the passing of the revered Torah sage -- is set to be held Thursday, the fourth day of the Hebrew month of Shevat, at his tomb. The Baba Sali, as Rabbi Yisrael ben Masoud Abuhatzeira was known, lived in the southern Israeli town upon his arrival from his native Morocco. A world-renowned Kabbalist, the Baba Sali transformed Netivot into the “Meron” of the south, receiving hundreds of thousands of people seeking his blessing during his lifetime. Many of his descendants were likewise endowed with special Kabbalistic gifts. Earlier this month, Egyptian authorities announced they would block the annual pilgrimage and cancel the annual memorial service for the Baba Sali's grandfather, Rabbi Yaakov Abu Hatzeira due to threats by the Muslim Brotherhood. 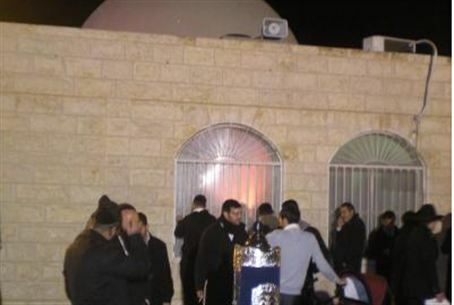 Instead, ceremonies were held at the tomb of his grandson, the Baba Khaki, father of the Sephardic Chief Rabbi of Ramle, Rabbi Yechiel Abu Hatzeira. The Baba Elazar, as he was known, was also a Kabbalist.